Eamonn O'Kane boosted his hopes of getting a crack at the IBF middleweight world title by beating Derbyshire's Lewis Taylor on Saturday night. 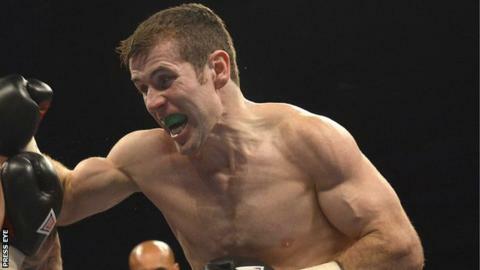 O'Kane, 33, took the contest in Lavey, Co Londonderry, on points to retain his Inter-Continental belt. The 2010 Commonwealth Games gold medallist won on two of the scorecards with the other judge viewing the 12-round bout as a 114-114 draw. It was a first defeat for Taylor, 25, in his 18th professional contest.